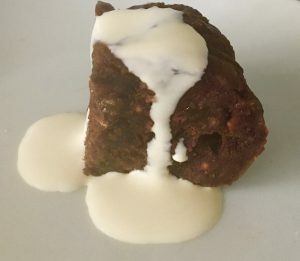 Posted on April 21, 2018 Posted in Australian, Pudding	. 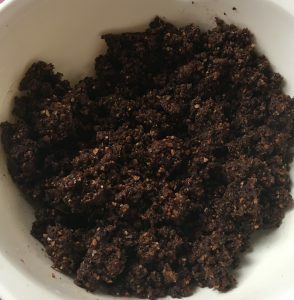 From the 15 recipes I made 3 were key standouts that I couldn’t ignore and had to add to my Aussie traditional category on this blog. 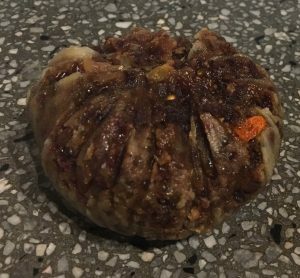 Following the Bread Fritters, the Sago Plum Boiled Pudding was my next favorite. 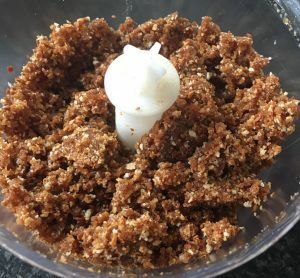 The recipe I have posted follows exactly as per the traditional, apart from a few slight tweaks in the volumes of some ingredients to make it just that extra bit flavorsome and moist (it was originally fairly dry but delicious). 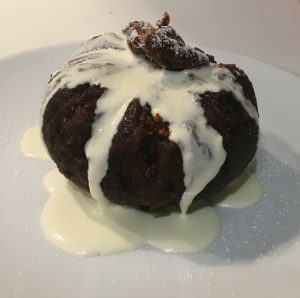 As 4 recipes I made were boiled puddings I was able to understand the optimal consistency of the Sago Plum Boiled Pudding. Also, I did tweak the name to be a little more appropriate, technically the recipe doesn’t have any plum in it at all….. It may take aaaggggeeesss to cook but this pudding is well well worth the wait. Place the sago into a bowl and cover completely with the milk. Allow the sago to soak, absorbing the milk for at least 2 hours. 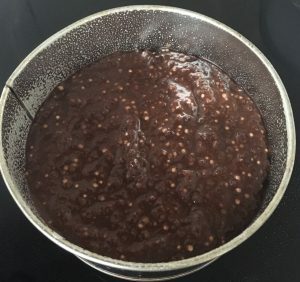 Add the butter, breadcrumbs, dried fruit, sugar, spices and bi-carb of soda into the bowl of soaked sago and combine all the ingredients well with your hands. 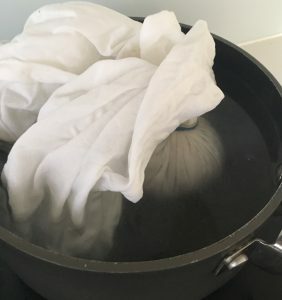 Wet a muslin pudding cloth and ring out to remove access water. Dust the cloth with flour (this will stop the pudding from sticking to the cloth when boiled). In the bowl shape the pudding mix into a circle shape and place in the center of the cloth on the flour. Pull the cloth around the pudding and tie into shape with an elastic band or cooking string. Steam the pudding in a large pot filled with water on a simmering heat for 2-2.5 hours, ensuring the pudding is completely immersed in the water the whole time (topping up the water level if need be as it steams). Once cooked let the pudding sit in a sieve for 20 minutes over a bowl (to catch any excess water) then remove the elastic band and cloth. 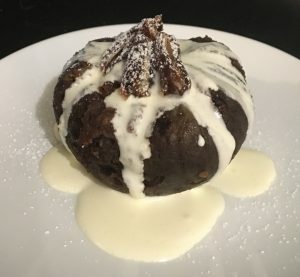 Place the pudding onto a plate and serve with custard or double cream. 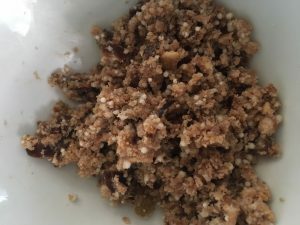 Tags: boiled pudding, breakcrumbs, cherries, cinnamon, cranberries, dates, dried fruit, ginger, mixed spice, raisins, sago, Sago and Dried Fruit Boiled Pudding, saltanas	. Posted on November 6, 2016 Posted in Cakes, Pudding	. 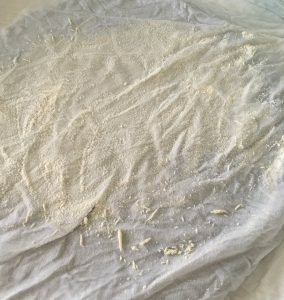 For a long long time I have been experimenting with Sago but until today all attempts to bake with this ingredient have been fails, really really big fails. Inspired by my own past breadcrumb based cake I again opted for breadcrumbs to ensure the foundation of the cake was moist and stable. By using breadcrumbs made from gluten free bread, this cake is easily gluten friendly. By using the dates as a natural sweetener this allowed for a minimal amount of sugar required for the cake. The cinnamon and chili add complementary flavor layers to the chocolate, pushing it to the next level in taste. 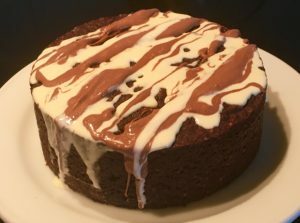 A super easy, low sugar and low fat cake that is perfect to for a dessert or special treat. I was super impressed with how decadent this cake actually tasted. 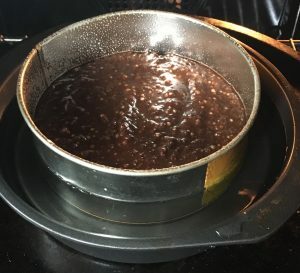 Pre-heat the oven to 175c degrees and line a 20cm cake tin with baking paper. 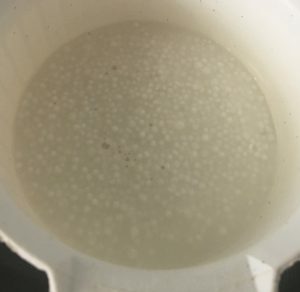 Place the sago in a bowl with the milk and leave for 4 hours in the fridge. 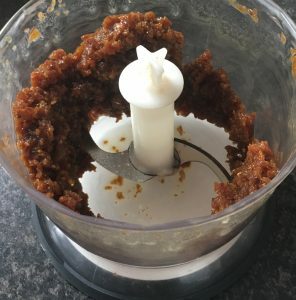 Place the dates and melted butter in a food processor and blitz until smooth. Add the sugar, breadcrumbs, cinnamon, chilli powder and cocoa and blitz until well combine. Place mix into a bowl with the sago milk mix and egg and whisk with a hand whisk until well combined. Place the tin into a roasting tray and add enough boiling water to come halfway up the side of the tray. Place a piece of aluminum foil on the top of the cake or a glass lid. Bake in the oven for 60 minutes of unit a skewer inserted in the center comes out almost clean. 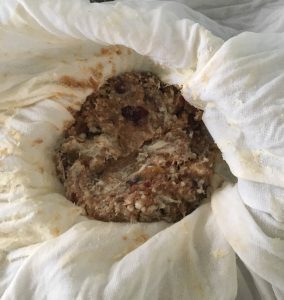 Place on a cooling rack until cold. Sprinkle with icing sugar and drizzle with cream or custard. Tags: bread, breadcrumbs, chili, chocolate, cinnamon, sago, Sago Bread Spiced Chocolate Pudding Cake	.